2017 will mark 70 years since Waverley first sailed. 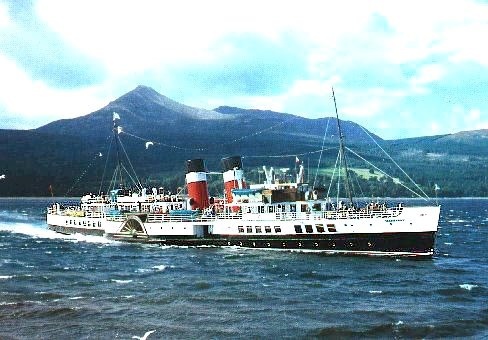 Waverley’s 2019 sailing season is an exciting year celebrating the Diamond Jubilee of the Paddle Steamer Preservation Society. Keep a look out for PSPS Celebration Days which will be taking place in each sailing area. On these days PSPS members will be offered hospitality and will feature a season update from Waverley Excursions management team. To be part of these special celebratory events and much more, join the Paddle Steamer Preservation Society here Memberships are available for £25 with under 26s being able to join for ONLY £10! Here at Waverley we are all eagerly counting down the days until the 2019 sailing season kicks off! The launch of our provisional Clyde Spring & Western Isles Timetables gives you all an exciting insight into the season ahead and we cannot wait to hear the office telephones begin to ring off the hook as soon as the 2019 Timetable is launched in late March and BOOKINGS OPEN! If you are planning an outing for a group of friends or a Social Club, Waverley can offer an ideal venue for your event. Discounts start at 10% for groups of 10 or more. If you have a bigger event in mind, Waverley can be a unique and exciting venue which will leave your guests talking about it for years to come. You can even charter the entire ship for sole use and the cruise of your choice! or calling 0141 221 8152. One child can travel FREE with every Adult ticket to Millport on this day. Sailings from Glasgow, Kilcreggan, Dunoon and Largs. Bring the family and ENJOY OVER 2 HOURS ashore in the picture postcard town of Millport on Cumbrae. Build sandcastles on the beach, grab an ice cream, hire a bike or stroll along the palm tree lined front...and no trip to Millport would be complete without a photo at Crocodile Rock! You can play an active part in ensuring the preservation of Waverley, for future generations to enjoy. From the earliest days of Waverley's restoration, volunteers have played a key role in ensuring the continued operation of the ship. There are a number of ways in which you can contribute, both ashore and afloat. There are opportunities for people from all walks of life which will help the Waverley charity fulfil its objectives. Volunteering for Waverley allows you to meet new friends, gain self-confidence and be part of your community. It can be a rewarding way to spend your free time or retirement. It can also be an exciting chance to develop existing skills and gain new ones; for some it can be a great opportunity to add experience to CV's for future job applications. (Appropriate clothing is provided). Note from style2000.com With permission part of the information has been taken from their news letter. Please always check with Waverley Excursions for the latest and most up to date news and information.